That was me back when I was a little girl around the same age as Lily was and not believing my mom when she told me that my grandparents went away for the weekend. Back then, my grandparents (my mom’s parents) were a constant presence in my life and if my mom wasn’t there, then it was my grandmother and grandfather who took care of me. So stands to reason that I couldn’t believe nor did I want to believe that they weren’t there to spend time with on that particular weekend. I did indeed make my way up the steps and rang the doorbell. I found rather quickly that they were definitely not home and had gone away for a long weekend, when no one answered the door. Eventually, they returned home and I truly don’t recall many other times that they weren’t there when I needed them over the years. And I truly never envisioned or wanted to think of a time where they wouldn’t be there as I got older. But unfortunately, kids including myself grow up and eventually even my immortal grandparents in my little girl mind aged to the point that first we lost my grandfather to a broken hip (he never recovered from this and passed away 2 weeks after on Valentine’s Day 1999). My beloved grandmother outlived him by 11 years. 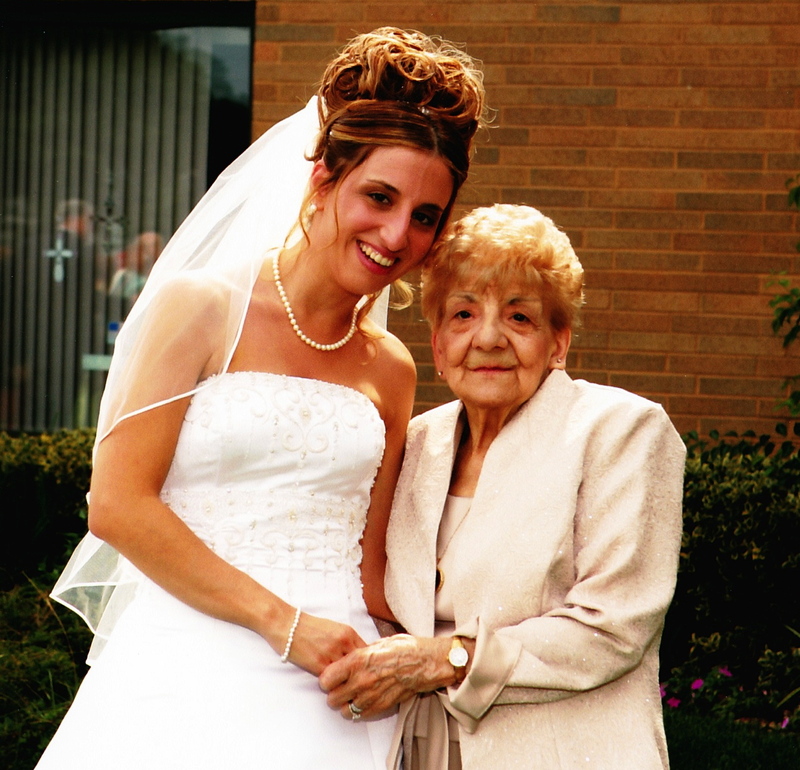 I watched my once strong and resilient grandmother become frail, aging for those 11 years until, she too left us on February 3, 2010, eleven days shy of the 11 anniversary of my grandfather’s passing. I never in a million years back as a kid would have thought that I would ever live a day without being with them physically and yet now I know different. 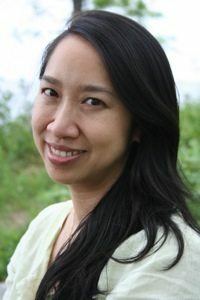 The pain I felt for both these loses was indescribable and yet when I first began to read Ava Chin’s, Eating Wildly – Foraging for Life, Love and the Perfect Meal, I somehow was brought back as she beautifully and poetically recalled her childhood, which ironically I felt paralleled my own. See, Ava grew up in Queens, NY as did I. She had a very strong and powerful bond with her maternal grandparents, as did I. Her earliest memories of spending much of her free time with them learning firsthand what love was, made me recall how my grandparents also taught me this lesson from as far back as I could remember. I always said I wanted to have a love like theirs. 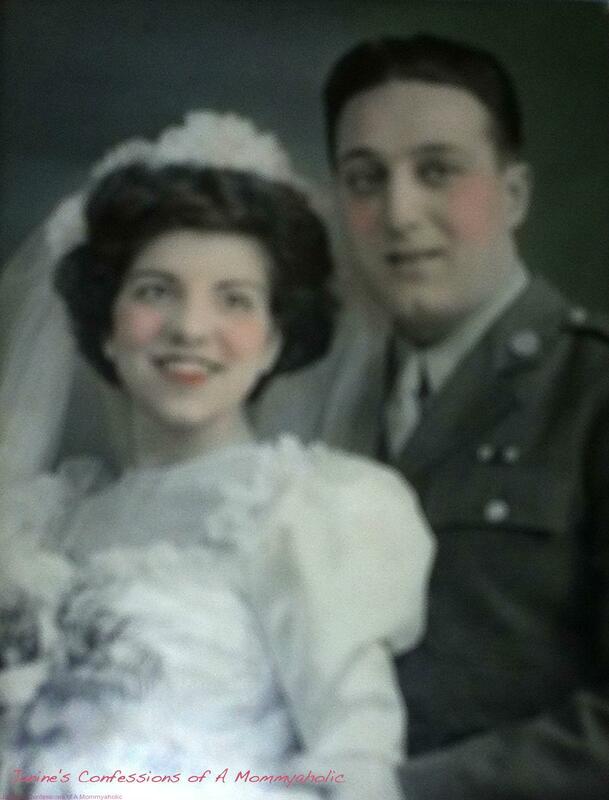 They met during the Great Depression as did Ava’s grandparents and not only did they have a great love for each other, but my mother (their only child) was their world, as was my brother and myself (their only grandchildren). This again was all similar to how Ava described her own grandparents and their relationships with their kids and grandkids, too. My grandfather was even quoted, when describing me as “Shades of Valeria!”, which was his mother, who was known to be a strong and loud woman. Yes, I was definitely this and so much more as a teen. I loved knowing that they loved me so and always made me so proud to know that I came from these amazingly, loving people, as I felt Ava also depicted from how she shared similar emotions about her own feelings of her grandparents, as well. So, as I was reading Ava’s book and she was sharing her amazing connection to her two wonderful grandparents,I just couldn’t help, but relate and smile recalling The above memory and so many more moments I was lucky enough to share with both my grandmother and grandfather, too over the years. And like Ava, it took me quite sometime to heal and find my way after losing the two people that I considered my heroes in more ways then one. Ava took to foraging and actually living off the foliage and flora in NYC. I seriously was impressed and amazed by her discoveries and how she turned a simple tart into an award winning dish by the end of this book by learning the ins and out of foraging along with meeting the great love of her life that Ava admits her grandmother especially would have approved of. I can tell you that I was thankful that my own grandmother not only got to meet, but love my husband, Kevin and first born, Emma, too. I would also like to believe in my heart of hearts she helped to give me Lily,which happened shortly after her passing, as well as that my grandfather was smiling down on me from heaven through all of my adventures after his death, including falling in love with and marrying Kevin to having both my girls and so much more, as well. Like Ava, my grandparents will always be a forever part of me and in my heart even if they aren’t physically here anymore. They helped to shape and mold me into who I am. For that and so much more, I am forever grateful, blessed and thankful that they were mine. I knew this in my heart of hearts, but can’t thank Ava enough for allowing me to read and review her book, which put so much of this into perspective for me, as well as, for getting to share in her own heart warming autobiographical story. Can’t say enough how this is a must read and believe that anyone who does indeed read her book will be that much better off that they did also. Father’s Day is June 15th, so celebrate that special Dad your life by creating and sending a customized card from Cardstore! Add a photo (add photos from Facebook! ), add a custom message to say Dad You’re the Best! Plus you can personalize the card with your own signature, then Cardstore will mail the cards directly to your recipient FOR FREE! Affiliate Exclusive! $1.49 Father’s Day Cards + Free Stamp when you let us mail it for you at Cardstore! Use Code: CAH4335, Valid through 6/9/14. Shop Now! Did you know Cardstore has a 100% Satisfaction Guarantee? Contact Cardstore within 30 days of your order, and they’ll replace your order, at no charge, OR will give you a full refund. Start shopping personalized cards today at Cardstore! The #worldstoughestjob isn’t just occupied by Mom’s. This Father’s Day, make sure Dad’s get the recognition they deserve for the way he makes it through all of the unscripted moments in life. I only have one grandmother left. Both of my dad's parents are gone, but I was never close to them growing up. Robin, all of mine are indeed gone now and I was closer with my mom's parents, because they lived with us as I got older and saw them pretty much everyday of my life. My paternal grandparents were like this to me. And my maternal grandmother is still alive and my grandfather passed away two years ago. I feel very protective of my kids having six HEALTHY grandparents that they'll grow up knowing. So far, so good! I could just cry thinking about how much I miss mine. My recent post Happy Birthday, Happy (Early) Father’s Day, Happy Trails! Tamara, i do cry sometimes thinking about them and I miss them terribly. I am definitely better know then when it first happened each time, but still they will always have a piece of my heart, always! It's the weekend, Janine, woohoo! Have a lovely! My kids have an amazing bond with my in laws…I am sure in part because they live so close to us (next door). They've been a constant presence in their lives. I love watching that relationship. Thank you for sharing Ava's book and this beautiful story about your grandparents. Well said and BEAUTIFUL! My family was not close to any of my grandparents. My husband's mom died when he was a teenager and my father too died when I was in my early 20's. My father's sister help raise me and 3 siblings. She is now in her late 80's and going down fast. I dread the day when we get a call. I know their is a season for everything and I look forward to being a grandparent one day. I truly miss this time with my grandparents and cannot wait to hopefully one day be the best grandma ever. Oh Janine, this is such a beautiful post. I also feel very blessed to have known my maternal grandparents well and to have been loved by them while I was growing up and I love seeing my own parents with my children. Isn't it wonderful when we find a book that we feel such a strong connection with? I'm really interested now to read Ava's book. I can relate. I spent most of my childhood at my grandparents house. If I wasn't with my parents I was with them. It seemed they would always be there. It's been 6 years now since we lost both of them in the same year 6 months apart and it's still hard to not pick up the know and call them. I'm thankful my kids have that with my parents and will have many wonderful memories of them when they get older. A lovely tribute to your grandparents, Janine. I loved reading about them and how much they meant to you. My grandparent passed on when I was quite young and I feel like I missed out on so much! Thanks for sharing some of your special moments! So happy to been able to share and I feel so guilty that even though I had such great memories and a lot of time with then, I still wish for more many days. What a special relationship you had with your grandparents!! I can only wish that my children will have that, even if we only see them once in a while. Oh, and that cardstore video totally made me cry! Great book review and even better the sharing of your grandparents!! Beautiful. I wish I could relate, but those were all just dreams of mine. I think those marriages lasted because they knew real hard times and knew that the other was there with them for the long haul. I’ll add this book to my good reads list! My grandparents lived in a different state, and we visited each other when we could. I never knew my dad's parents since both of them died before I was born. I love reading about your grandparents! What a neat relationship you had with them! What a great comparison to this book. 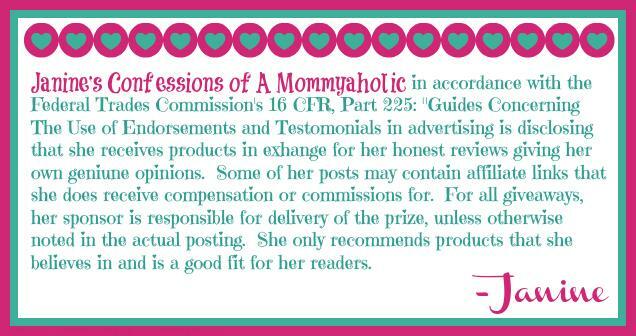 It looks really interesting, and it also sounds like you have a lot in common with the author! Aww Christy, I am so sorry you too lost your grandparents and hugs your way tonight my friend. Very sweet. I remember spending a lot of time with my grandparents as a child as well. It makes me sad that my daughter will never know what this is like. I know totally makes me sad that my girls will never know my grandparents either. 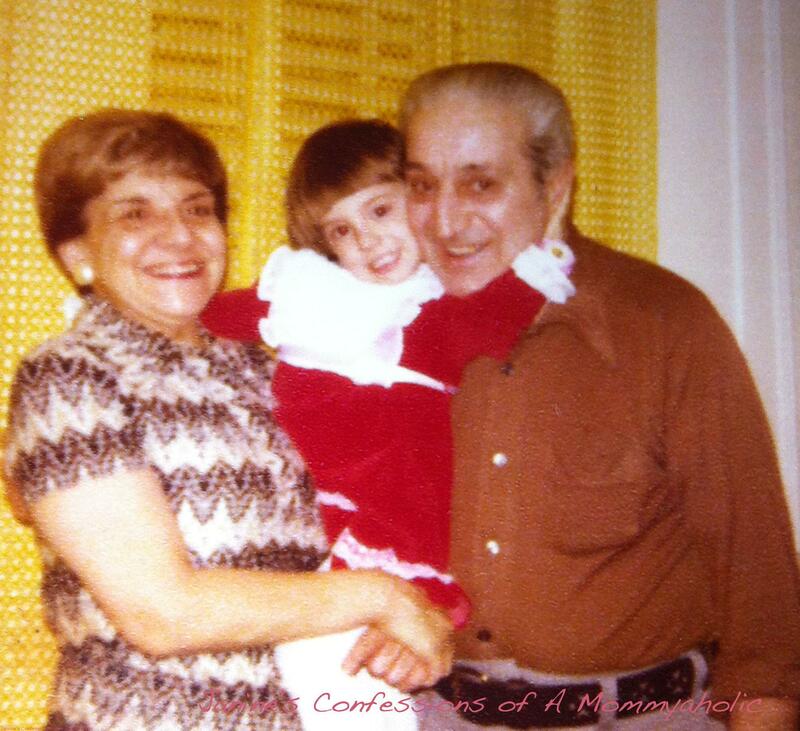 This post has me remembering my grandparents and so many memories we made with them. It's wonderful how lovingly you write about them and I'm sure they are both very, very proud of the woman and mother you are today! Thank you for the introduction to a new book, too. You know I always look forward to that! This was a beautiful post Janine. Thanks for the recommendation. My grandmother I only had in my life for 11 years but she made such a big impact on my life and we didn't even live in the same state. My grandfather got to meet my husband but not Christopher. I always say he met Christopher and played with him in heaven until it was time for me to be a mom. sniffles, I totally understand how you feel about your grandparents. I wish I had my grandma for longer, I lost her when I was nine and there ws so much I needed from her. I hope Dino has TONS of time with my parents. sniffles…. Trust me I know and I look at my parents now, Karen and many of these thoughts go through my mind quite often, too. I am working diligently to have my kids have this relationship. I only had a relationship with one of my grandparents, even though by step marriages, I have four sets! My children will thankfully have a much better relationship! Thanks for sharing with Creative Style! beautiful memories you have, janine. i love the pictures of you and your grandparents.